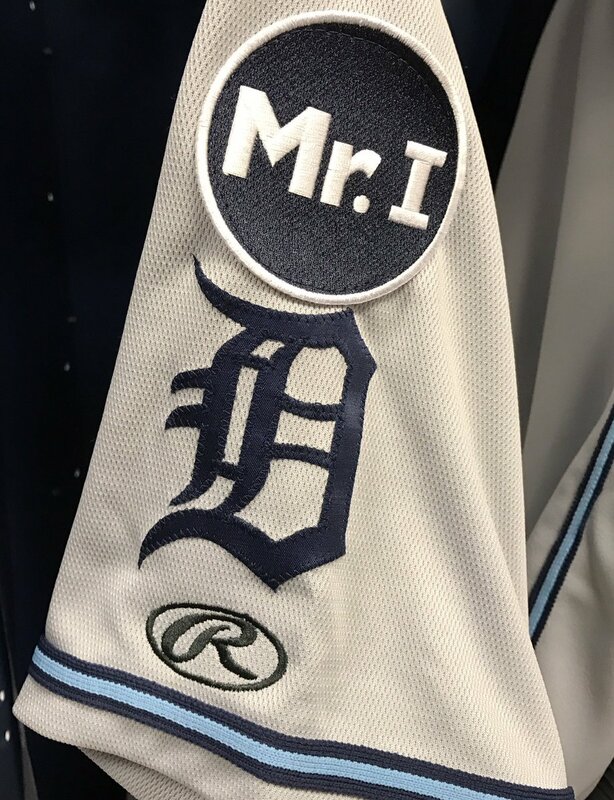 The Detroit Tigers and all their minor-league affiliates (including the West Michigan Whitecaps) are wearing “Mr. I” patches on their jersey sleeves this year in honor of the late Mike Ilitch, who owned the Tigers from 1992 until his death earlier this year. The Whitecaps, along with all other Midwest League teams, also are honoring former league president George H. Spelius with a “GHS” sleeve patch, which you can see here. Spelius was president of the Midwest League for 28 years. This entry was posted in Midwest League, West Michigan Whitecaps. Bookmark the permalink.